Don’t Let Your Mid City Scrap Iron & Salvage Reward Points Expire! Mid City Scrap Iron & Salvage offers an incentive program for residents who recycle scrap metal at the local facility in Westport, MA. The Recycling Rewards Program pays residents for each and every pound of metal that they recycle throughout the year. 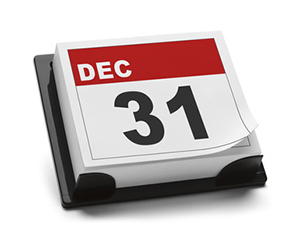 However, all points must be redeemed by December 31st at the end of each year or they will be forfeited. As a result, it is important that you bring in the rest of your scrap metal recyleables, rack up your end-of-year points and then redeem those points as soon as possible. The Recycling Rewards Program at Mid City Scrap can be joined and participated in with just three simple steps. The first step is to complete an enrollment form and submit it to the Scale House at Mid City Scrap. You can get an enrollment form either online at our website or by visiting the scrap metal recycling facility in person. Once your application is processed you will receive a Recycling Rewards Program membership card with a unique customer ID. The second step is to bring in your ferrous and non-ferrous metals for recycling at Mid City Scrap in Westport. For every pound of metal that you recycle, you will receive one Reward Point that will be credited to your account and customer ID. Just show your membership card to the employees at our Scale House when you arrive at the scrap metal recycling facility to make sure that all of your Rewards Points are credited accurately to your account. The third and final step is the easiest of all. All you need to do is to accumulate Reward Points through the Recycling Rewards Program and then redeem them at Mid City Scrap for cold, hard cash. Points can be redeemed as many times as you want throughout the year and they will be immediately deducted from your customer ID membership card. Just remember to make your final redemption claim before December 31st of each year to avoid losing all the points you collected throughout the year. When you redeem your Reward Points, either at the end of the year or throughout the year, you must redeem all of your accumulated points at once. So once you submit a request to redeem your points, your Recycling Rewards Program will be brought back down to zero points. You can redeem them as many times as you want throughout the calendar year, so the more times you recycle scrap metal and add to your incentive reward points, the more money you will be able to make all year long. Members of the Recycling Rewards Program may not combine Reward Points with family members or friends, however it is possible to get a single customer ID and account set up for multiple people to increase your earnings and share the rewards. Speak with one of our representatives at the scrap metal recycling facility for more information on how a combined member account would work. The best way to find out how many points you have accumulated in the Recycling Rewards Program is to visit Mid City Scrap and look at the monthly Recycling Rewards totals that are posted in the Scale House when you come to recycle scrap metal. The totals will be tallied and posted each month by customer ID number so you can see where you currently stand. You do not get additional points for recycling non-ferrous metals versus ferrous metals. While non-ferrous metals can pay out more in recycling than ferrous metals, it is important to note that in the Recycling Rewards Program they are equal pound-for-pound in collected points. It is your responsibility to keep track of when you reach the next payout level in the Recycling Rewards Program. Just inform the Scale House staff that you have reached your desired Reward Points level and that you want to redeem your points. It is very simple to begin the redemption process, but you need to stay on top of your points in order to maximize your earning potential. The money that you earn as a resident member of the Recycling Rewards Program at the Mid City scrap metal recycling facility usually takes about 2-3 weeks for processing. Our accounting department has to check and double-check your points to make sure you are getting everything you have earned. Just come back to Mid City Scrap and visit the Scale House to pick up your check when it is ready. Bring all of your scrap metal items to Mid City Scrap in Westport, Massachusetts. Not only will you be able to earn extra cash in the Recycling Rewards Program, but you will also be able to get the best prices for scrap metal in Southeastern Massachusetts. Open Monday through Friday from 7am to 4:30pm and on Saturdays from 7am to 12 noon, visit Mid City Scrap for all of your scrap metal recycling needs.